By now, you've seen our new website and our new logo! After five years, we thought it was time for an update. But have you seen or heard about Mignonne's new furniture showroom? We recently expanded and now occupy two storefronts on San Pablo Avenue at Dwight. 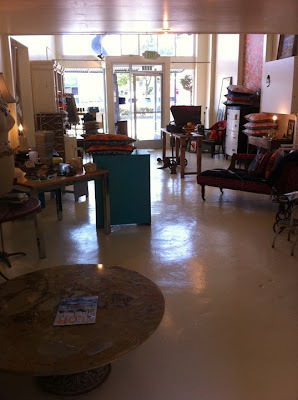 Our new space has a fresh, clean and inviting look ... loads of open space showcasing our furniture and décor collection. To coincide with our expansion, we have several new pieces recently designed by Johnelle Mancha, including upholstered furniture and handmade cushions. More interesting news about the space and our services is on the way ... we have more in store for you at Mignonne. That's so exciting! Congrats - it looks gorgeous. I can't wait to see it.